Tampa, FL (BlackNews.com) -- New mother Jaielean Jagrup (pronounced JILLIAN JAH-GROUP) from St. Croix, U.S.V.I has created a how-to guide for working mothers and parents overwhelmed by the demands of caring for a newborn. Jagrup, new business owner based in Tampa, Florida, has authored Tiny Little Fingerprints on Everything: A Guide to Winging It, which provides a heartfelt synopsis on parenting, early learning, and finding balance - in a way that works for the reader. With the additional time parents can garner from utilizing the listed tips, Jagrup aims to assist them in pushing them to complete goals fueled by their creativity and passion. Written with a quick wit and filled with musings on experiences like breastfeeding and cultivating a support system, Tiny Little Fingerprints is the perfect handbook that offers simple, practical advice for all parents on finding your own path to child rearing. 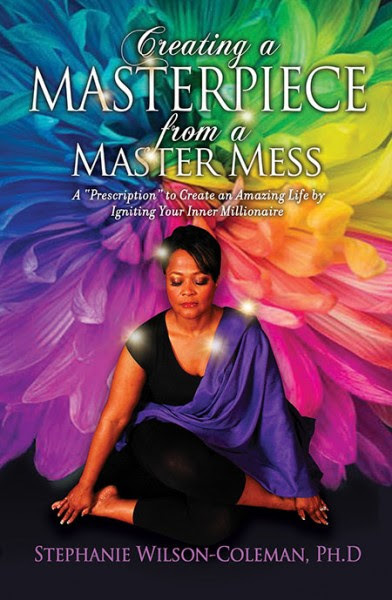 Written in an authentic voice, Jagrup lures readers in with her real-word recommendations for handling the ups and downs of being a new mother. To assist in the process, Jaielean also created a learning tool to pair with the book for optimum early learning advancements. Flash Cards for the Island Baby offers learning fun based on cultural and environmental objects. Harlem, NYC Sound Business, Inc. (SBI) hosted its 5th annual Benefit Gala on Wednesday, April 3rd, 2019 at the Harlem Stage Gate House in NYC to celebrate their valued alumni and their growing community of supporters. The evening included a special guest performance by Trumpeter Brandon Woody a talented young musician on the rise. The keynote speaker & SBI Spotlight Award recipient was Derrick Adams. Derrick is an American visual and performance artist and curator, frequently referencing patterns, images, and themes of Black culture in America who was recently featured in The New York Magazine. Columbus, OH Regal Beauty is Central Ohio's newest Black-owned hair and beauty supply store. 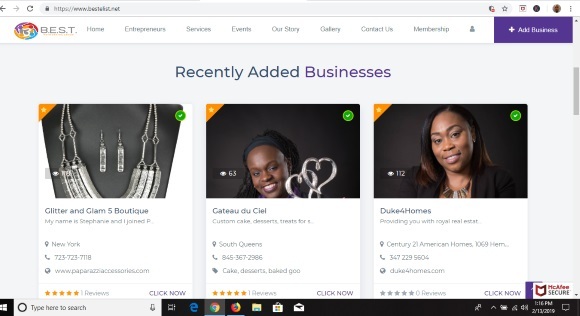 Located at 973 E Main Street in Columbus, the store opened on February 4, 2019 by sisters Dasha Tate and Deanna Jones who left their jobs to start the business. They wanted to go back to the neighborhood they once lived in to fight gentrification, and provide access to hair & beauty supplies. They pride themselves on providing a platform for items that varied from the normal options. 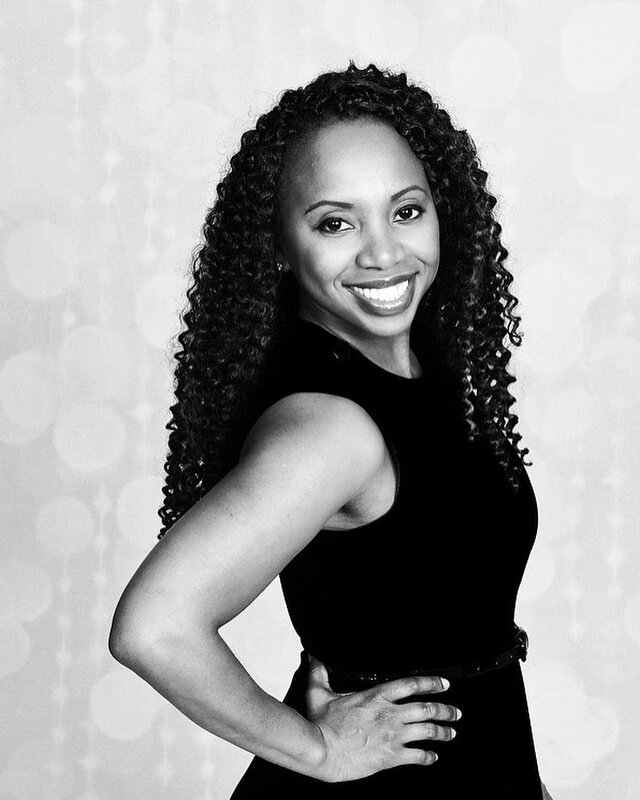 Regal Beauty not only provides vegan and organic options for hair and body but provides a place for local and Black-owned companies to thrive! 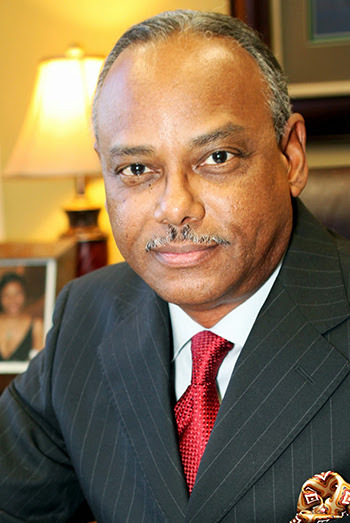 Nationwide -- Young Living Essential Oils, the world leader in essential oils, announced the promotion of Irvin Bishop Jr. as Executive Vice President, Digital and Strategic Planning. In his new role, Irvin will lead Young Living's efforts to update its global digital footprint and facilitate management and strategic alignment company wide. Miami, FL -- Did you know that anywhere between 20 to 70% of women will develop uterine fibroids by the time they turn 50. Although these benign tumors found within or on the uterus, can affect all women, Black women are about 3 times more likely than white women to develop fibroids, and they tend to develop them at a younger age than other women. They can grow as large as melons. Symptoms include excessive menstrual bleeding, painful cramping, and pelvis, lower back pain and infertility. According to Lauren Wise, professor of epidemiology at Boston University, "Approximately 30 percent of reproductive-aged women are diagnosed with fibroids." Yet studies reveal that while “approximately 70 percent of white women will have uterine fibroids by age 50," that number is greater than 80 percent for African-American women. In addition to this, black women are "more likely to report severe or very severe symptoms," Wise pointed out. Book Reveals Deep-Rooted African History in the U.S.
NEW BOOK, "SURVIVAL OF THE FIST," REVEALS DEEP-ROOTED HISTORY OF AFRICAN CULTURE IN THE U.S.
Nationwide -- Survival of the Fist: The Book of Revelations by Chief Zulu is a captivating, no-holds-barred look into the deep-rooted history of African culture within the United States. The book is a turbulent and unforgettable ride through history with 'hidden in plain sight' knowledge that every man, woman and child should be made aware of. Just how far down would you say the rabbit-hole goes? 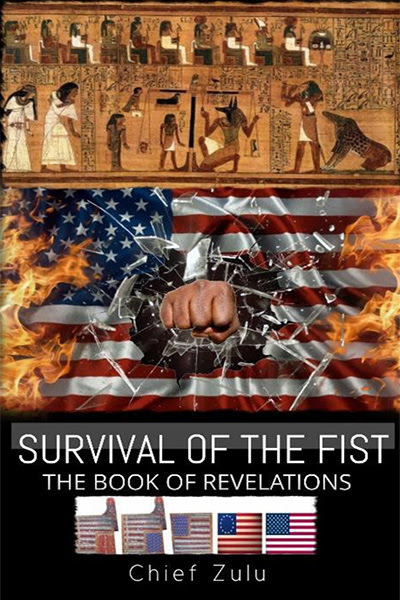 Survival of the Fist contains African and Moorish American history that has never been taught within United States schools and worldwide. 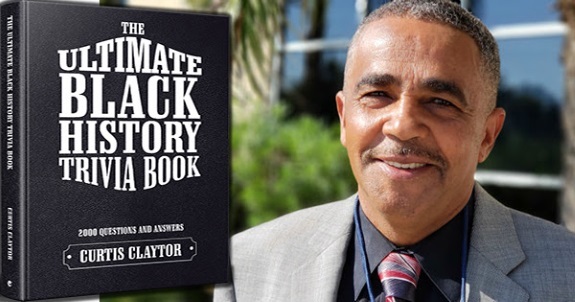 This book contains some parts of black history that have been deemed too controversial by America and mainstream media, with sensitive subject matter that effects black people in present day, such as psychological warfare, white supremacy, political injustice, and commerce slavery.